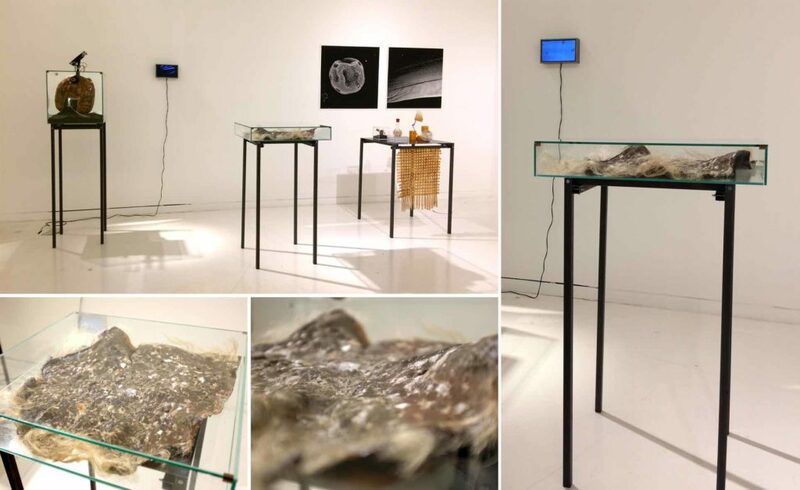 This organic sculpture builds upon a body of research that focuses on biofilm formation; it is using the aggregation of bacterial colonies as a metaphore for the communication between a diversity of neighborhoods in cities. The biofilm as a city and the city as a biofilm. A biofilm is an association of micro-organisms in which microbial cells adhere to each other on a living or non-living surface. Biofilm formation is a cooperative group behaviour. The bacteria communicate via quorum sensing (a system of stimuli and response), a cell to cell communication mechanism that synchronizes gene expression in response to population cell density. Paula Watnick and Roberto Kolter say it like this in the Journal of Bacteriology: “The natural biofilm is less like a highly developed organism and more like a complex, highly differentiated, multicultural community much like our own city”. In this scenario, they describe biofilms as microscopic 3D structures built by the biofilm’s colonizing resident bacteria. Their message is that living, skeletal architecture exists even at bacterial scale.